SEE THEM EARLY, LOVE THEM FOREVER! The first blessing of parenthood is loving someone you've never even met. 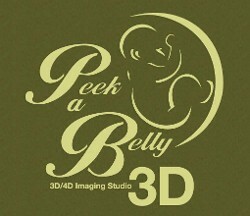 Peek A Belly 3D is the best 3D 4D ultrasound imaging studio in the Chicago land area. 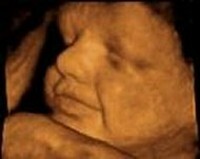 We provide 3D Ultrasounds Chicago and Joliet area parents will cherish forever. Our business provides 2D, 3D and 4D sonogram to let you see your baby move and grow, as well as give you a glimpse of what the little one will look like after birth. Our experience puts us heads above the rest! Serving Chicago and suburbs in Obstetrical Ultrasound for over 35 years! Our 3D ultrasound experience and convenient location (next to I355)brings people from all over. We have scanned people from Iowa, Indiana, Wisconsin, Michigan, South Carolina, North Carolina, Texas, Tennesse, Maryland, Missouri, Arizona, Florida, Oregon, California and the farthest Australia and Russia! 30% of our clients are referrals from friends or doctors who show their trust in us! Serving the areas of suburbs of Chicago, Wheaton, Addison, Glen Ellyn, Frankfort, Orland Park, Lisle, Carol Stream, Naperville, Warenville, Woodridge, Downers Grove, Bolingbrook, Lombard, Lemont, Lockport, Bloominngdale, Bartlett, Villa Park, West Chicago, Westmont, Burr Ridge, La Grange, Oak Brook, Elmhurst, Elk Grove Village, Schaumburg, Hoffman Estates, Melrose Park, Itasca, Franklin Park, Joliet and more. Imagine seeing what your baby really looks like and watching the little one move. 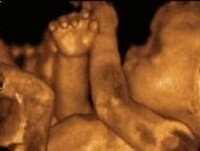 Elective 3D and 4D sonogram allows you to see your unborn baby for the first time!! 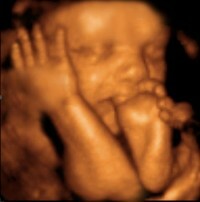 Our 3D ultrasound imaging services give you a realistic view of your baby that you will cherish forever. 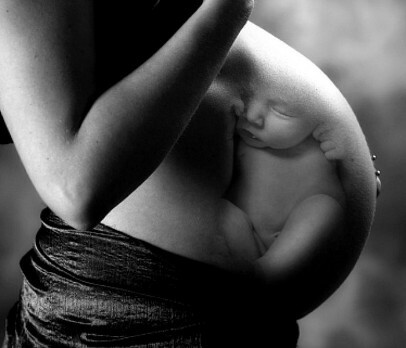 3D sonogram allows a bond between the parents and their unborn child that is truly remarkable. The benefits do not stop there. Siblings, grandparents, and extended family can also enjoy bonding during this very special time. See them early, love them forever! At Peek A Belly 3D, you can spend time with your developing baby. See the baby move. Watch the baby play. There is no time more precious and cherished during the pregnancy than the time that the mother-to-be gets to spend looking at her child through the miracle of our state-of-the-art 3D 4D ultrasound and leaving with wonderful ultrasound pictures. New - Prenatal Massages now available! 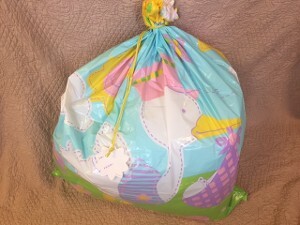 This is available with or without a purchase of an 3D ultrasound package. 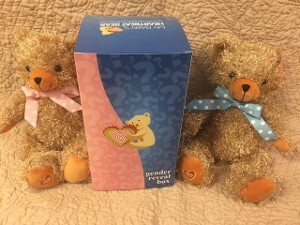 Just give us a call and schedule a "Heart Beat" appointment and we will record your baby's heart beat on a pink or blue Teddy Bear or one of our adorable animals! 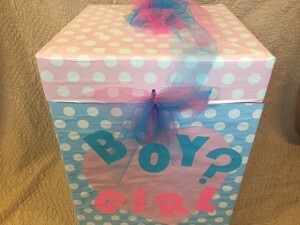 We offer a wide selection of baby products, including frames, diaper bags, chocolate cigars, photo albums, and keepsake items. The frames are perfect to use with your 3D ultrasound pictures. 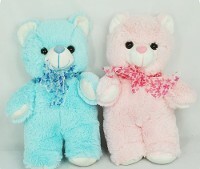 One of our great products is the Heart Beat Teddy that starts @ $25! This stuffed animal records your baby's heartbeat so that you can listen to it at any time. 10% Disount for Returning Customers! 10% Discount for Military and First Responders! Conveniently located just west of I 355 !! Referral Program: Refer a friend to Peek A Belly 3D and we will send you a $10 Gift Certificate! 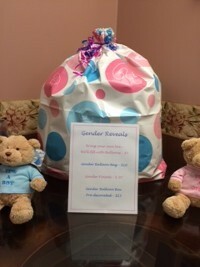 Gift Certificates available - they make a great Baby Shower gift! Contact us in Lockport, Illinois, (815) 524-3963 to see your baby with our 3D 4D ultrasound. You can schedule on line using the link on "Prices/Schedule" page-bottom. Just a quick peek in at Peek a Belly 3D! Saturday & Sunday 10 a.m.-4 p.m. 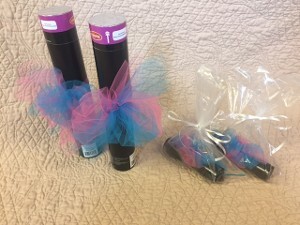 Contact us in Lockport, Illinois, to learn more about our baby products.